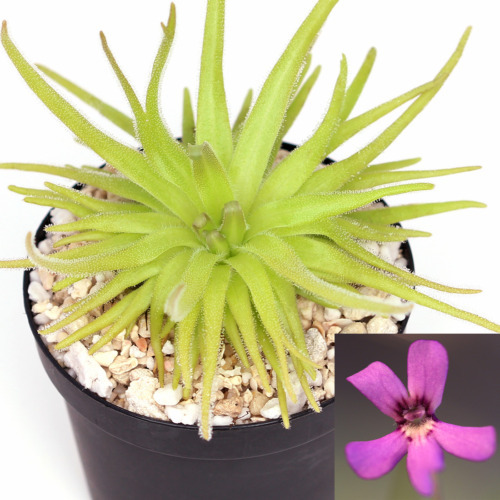 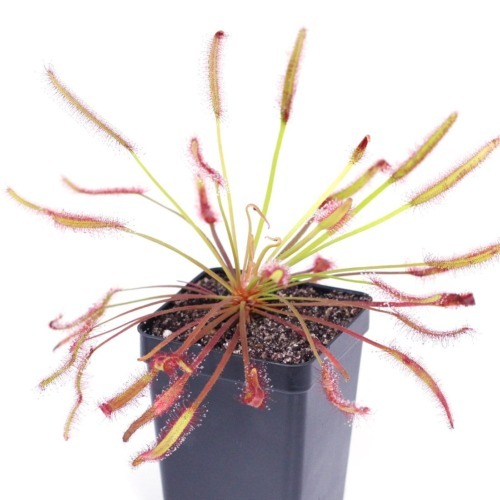 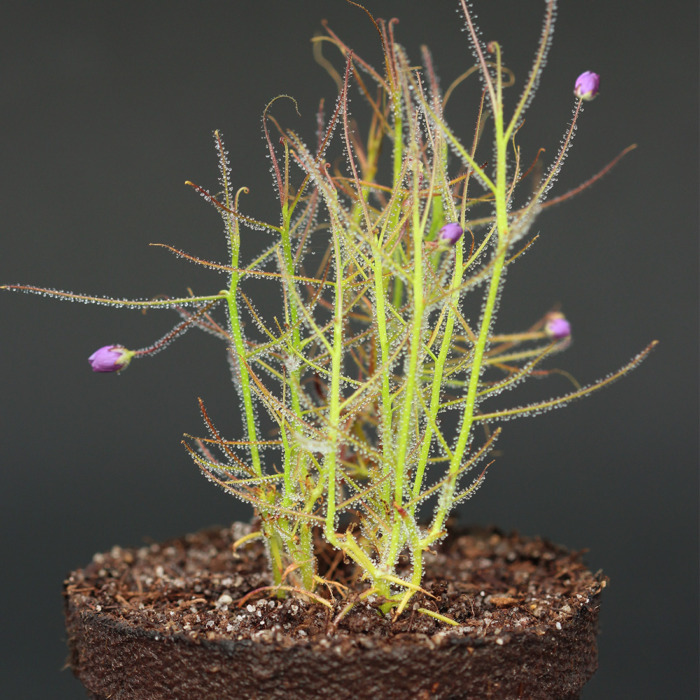 Byblis aquatica, or the Rainbow Plant, is an annual carnivorous plant native to the northern part of Australia. 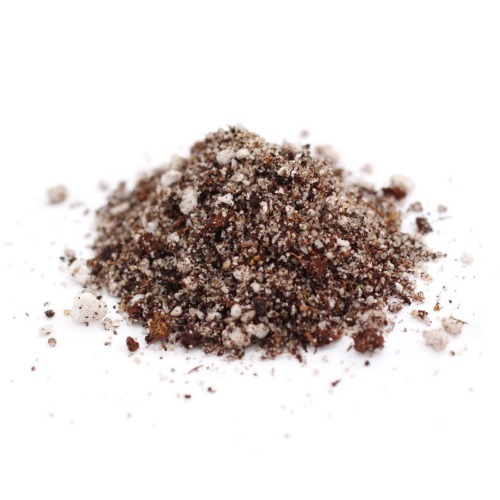 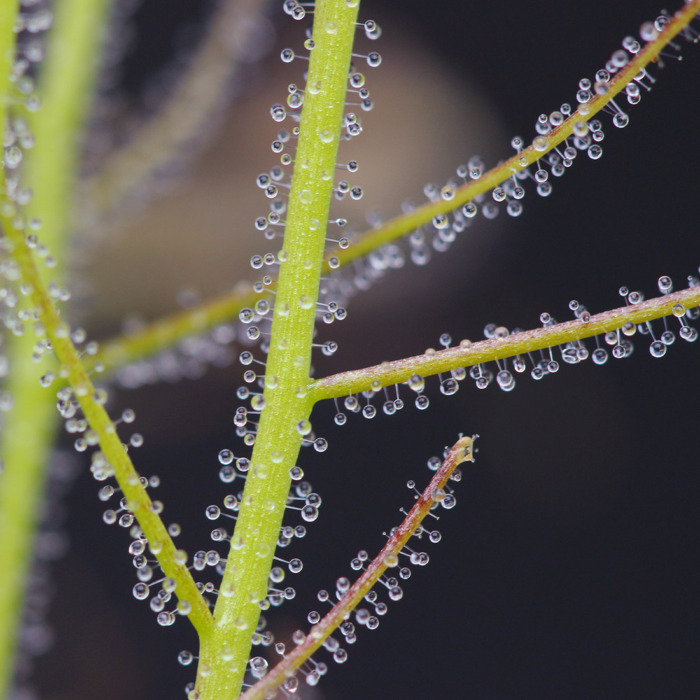 It can be found in bogs of saturated peat and sand or growing partially submerged in standing water. It has even been observed floating freely with almost no roots. 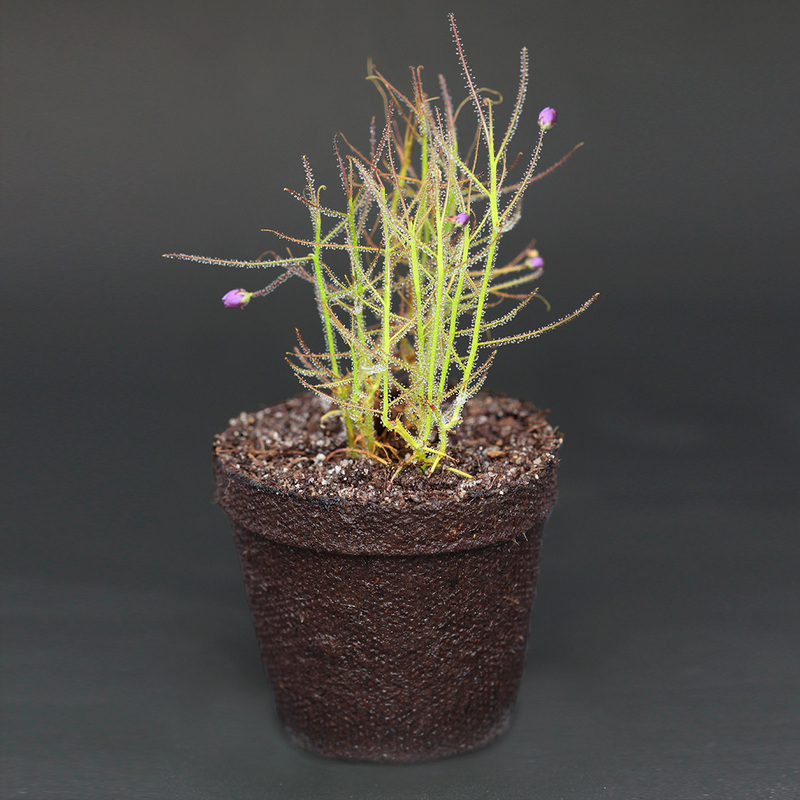 Young B. aquatica plants grow upright initially before becoming more vine-like as the foliage grows heavier, leaning on surrounding structures or trailing along the ground. 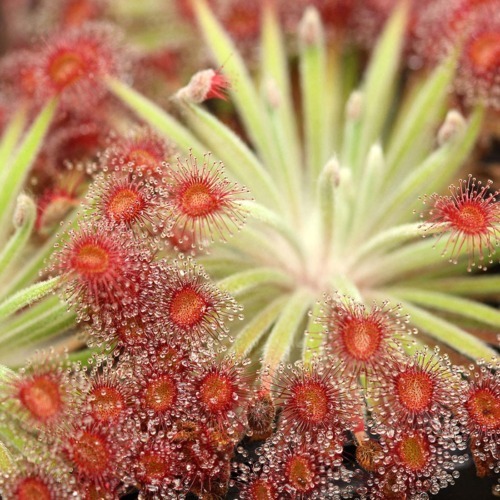 B. aquatica flowers are capable of self-pollinating.